Zikhulise Auto Restorers is a 100% BEE registered company and is committed to employing and empowering both previously disadvantaged as well as historically disadvantaged individuals. We are members of SAMBRA (South African Motor Body Repairers Association), SARSA (South Africa Auto Repairer and Salvage Association) and RMI (Retail Motor Industry). We have subsequently achieved the highest grading possible for SAMBRA, listed as a Major Structure Repairer. Courtesy vehicles* are available on request, ensuring there is no inconvenience caused to the client. We are an Insurance-Approved Repair Centre and we are currently working towards our ISO 14001 certification. We employ the latest technology in all areas of our workshop from Celette Benches to hosting a state-of-the-art USI-Italia spray booth, the only one of its kind on the African Continent. This facility coupled with our Glasurit water-based paint centre, ensures that we are at the forefront of technology. Been in a car collision? Need your car painted? Or do you just need to touch up a few minor dents and scratches? Well, first of all, we're happy that you are safe. Don't let the worry and concern over Auto Body repairs & Auto Body Shops bother you. 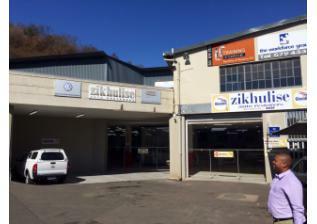 At Zikhulise Auto Restorers our intention is to make this experience a memorable one. Leave the auto body repairs, painting, dent removal, and even the insurance and rental car arrangements to us. For nearly five years, clients in Durban have trusted us for all their collision repair needs. All repairs undertaken come with a Lifetime Warranty on paintwork, a 36-month Warranty on repairs and a 12-month Warranty on spares. You can rely on Zikhulise Auto Restorer's Quality Guarantee - our service is impeccable and our workmanship is guaranteed. Whether it's a scratch, minor or major collision repairs, dent repairs or paint detailing, we treat all jobs the same. Most of Zikhulise's customers find us through referrals and that's a reputation we can't lie about. Since 2005 we've been a family owned and operated business ensuring that you can place your trust in our honesty, integrity and expert craftsmanship. Because we take auto body repairs very seriously and treat your vehicle like our own, our facility uses State-of-the-art equipment, the best materials and original factory parts. We timeously return your vehicle to you in pristine condition, within factory finish specifications. Our certified technicians are experienced and well trained. Their skills are kept up-to-date with continuous training, so each technician is highly qualified and gives your vehicle true, reliable craftsmanship. We have installed a Computerized Glasurit mixing bank from BASF which is meticulously matched to perfection to each individual vehicle requirement, by highly qualified and experienced personnel. The vehicle is then painted, using water based paints and baked in an airtight and dust free USI Italia Spraying and baking booth. 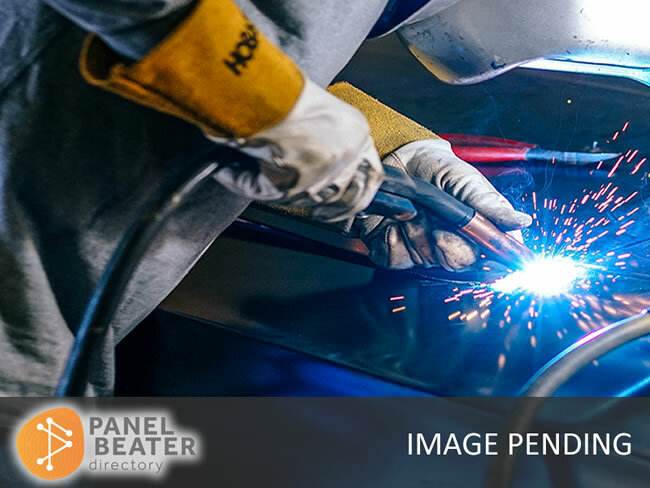 In Assembly, the vehicle is prepared to have all repaired panels and parts to be carefully refitted to the vehicle. We employ a Specialised Team in this field to ensure attention to every detail is exercised as the vehicle going through the various stages of repairs. In Post Assembly, the vehicle is then checked for any remaining mechanical work which may need to be attended to and completed. This is followed by our Electrical Technicians who check all the electrics and electronics. All final alignments and adjustments are made to bring all work to completion and the vehicle is ready for Detailing. After repairs all vehicles receive a complete professional machine polish. The vehicle is then washed, dried and given a final glazing, ensuring extra shine, protecting your paintwork, and bringing your vehicle to pristine, showroom condition. Though the vehicle passes through various quality check points throughout the process, a dedicated Quality Controller (QC) ensures the vehicle is put through a final inspection and test drive, before the customer is contacted for collection or delivery.